The G6 on a budget? Reduced bezels that allow for larger screens is usually a feature reserved for high-end handsets, but LG is bringing its FullVision display seen in the G6 to a new line of mid-range devices – the Q series. 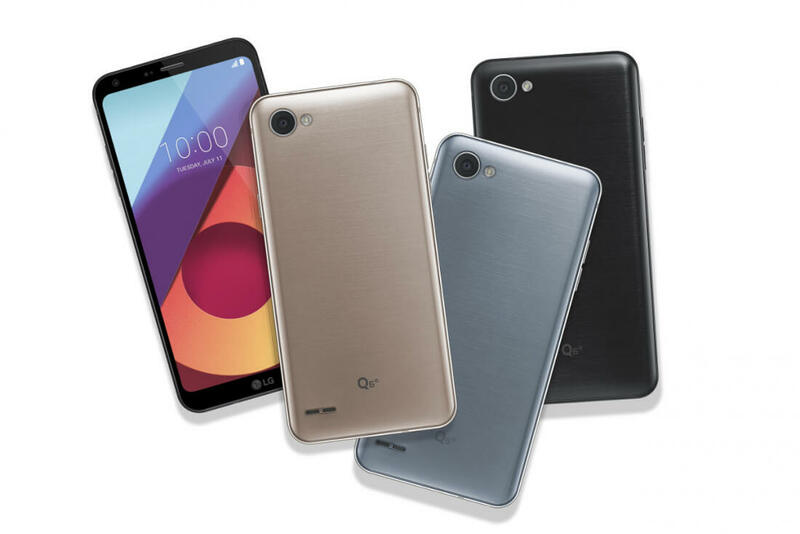 The three phones - the Q6, Q6+ and Q6α (alpha) – are essentially smaller, less-powerful versions of LG’s recent flagship. They retain its almost bezel-free design and 18:9 aspect ratio, though the screen has been reduced from 5.7 inches to 5.5 inches, while the resolution drops from 2880 x 1440 to 2160 x 1080. The Q series’ specs reflect the fact they’re aimed at the mid-range market. The Snapdragon 821 processor from the G6 is replaced with Qualcomm’s 435 SoC, and the dual lens camera is reduced to a single-lens 13MP snapper (with a 5-megapixel, 100-degree wide shooter on the front). The battery is downgraded, too, though not by much; it falls from 3,300mAh to 3,000mAh. The G6’s fingerprint scanner is also missing. In its place is LG’s proprietary face-recognition technology, which can be used to unlock the handsets. They also come with Android 7.1.1 Nougat preinstalled. RAM, storage, and color options differentiate the three models. The Q6 features 3 GB of RAM and 32 GB of storage, and comes in Astro Black, Ice Platinum, Mystic White, and Terra Gold. The highest tier Q6+ boasts 4GB of RAM and 64GB storage, along with Astro Black, Ice Platinum, and Marine Blue options. Finally, the entry-level Q6α has 2GB of RAM, 16GB of internal storage, and will be available in Astro Black, Ice Platinum, and Terra Gold colors. Sadly, there’s no word yet on how much the Q6 lineup will cost. The handsets go on sale in Asia next month and will arrive everywhere else, including the US, later.